Compass Stone, developed by Tokyo-based IoT startup YEAAH, may not help you levitate, but it’s a perfect navigation tool for modern explorers. 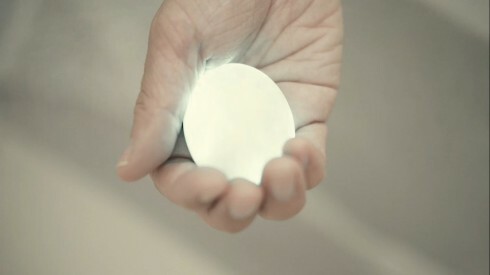 Resembling an artifact from a lost civilization, the palm-sized device glows gently to guide you to your goal, without you having to keep checking your smartphone every few minutes. It’s a simple but brilliantly effective way of keeping your attention focused on your surroundings rather than a screen. Compass Stone’s curved white body conceals 12 LED lights that glow and pulsate to lead the way, meaning it only takes a quick glance to know which direction to head next. You’ll still need a smartphone to input your destination, but once you’ve done that, Compass Stone takes over. Using a sophisticated navigation algorithm, it can keep guiding the way even when you don’t have a cellphone signal or WiFi connection. YEAAH is currently seeking Kickstarter funding to complete product development and testing, and move on towards commercial production. The Kickstarter campaign, organized in collaboration with Japanese creative agency K&L, is seeking to raise €45,000 by January 31, 2017. Early backers can get a finished Compass Stone for as little as €89 (plus shipping), a 40% saving on the standard retail price.